What a dapper chap! 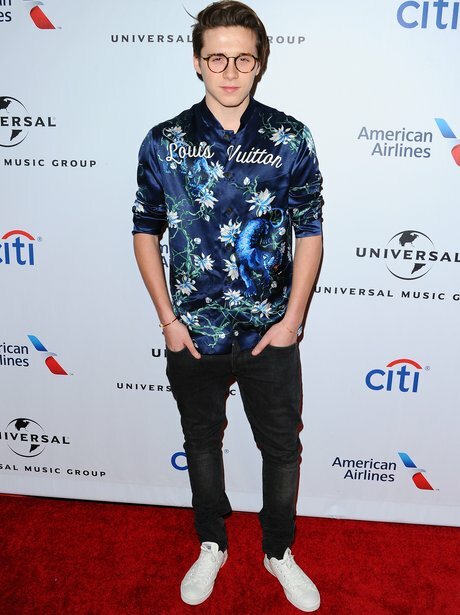 Brooklyn Beckham walks the red carpet at the Universal Music After Party. 5. What a dapper chap! Brooklyn Beckham walks the red carpet at the Universal Music After Party. It's not really surprising that Burberry asked him to model and photograph for them when he looks this cool and dapper! At the Universal Music after party, the eldest Beckham kid opted for geek-chic glasses and a bold Louis Vuitton shirt. WE LOVE. Can we be your date next time, Brooklyn? Picture: Rex.